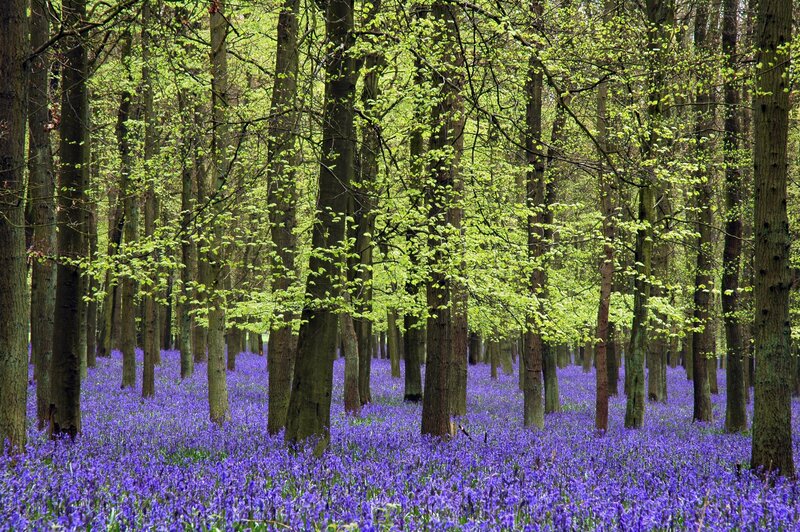 While there are bluebells in France, the United Kingdom really takes the cake. 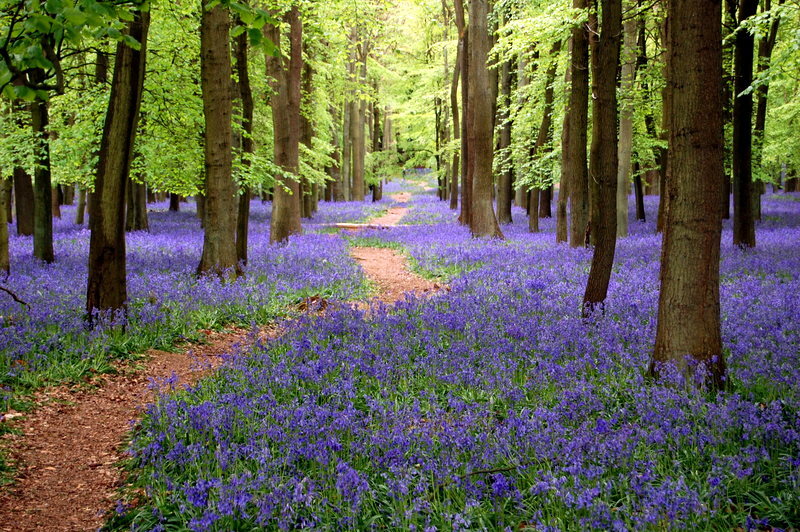 Nearly half of the bluebells in the world are British! 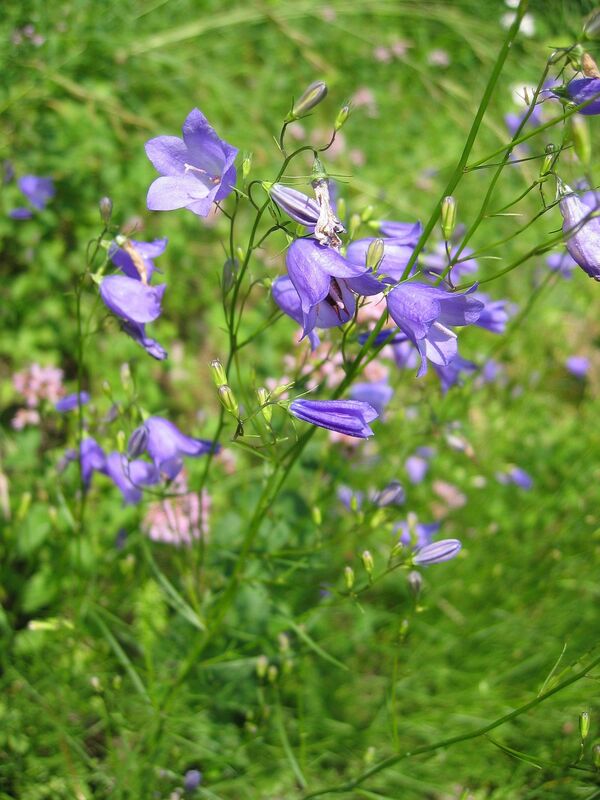 But since Spanish bluebells are stockier, more robust than the British Hyacinthoides non-scripta, hybrids were planted instead of wild bluebells during the past 200 years. Now, while very cute too, these hybrids are considered a threat to British bluebells according to this article. For your information, they might look like anything from the drooping British bluebell to the more upright Spanish flower. Now I assume you can’t wait to see bluebells either, so the National Trust is here to help. Granted, this image doesn’t really do justice to the woodland flowers (“woodland”, as in “not seafront friendly”…), but it does state that they’re going to be a character of their own. Policemen looking for murdered children, neighbours and dark secrets playing hide and seek in a bluebell wood… In Broadchurch the bluebell reference is both fascinating and sad. Claire, suspected of being implicated in the murder(s), receives a dried bluebell from a mysterious person… Is it a threat? 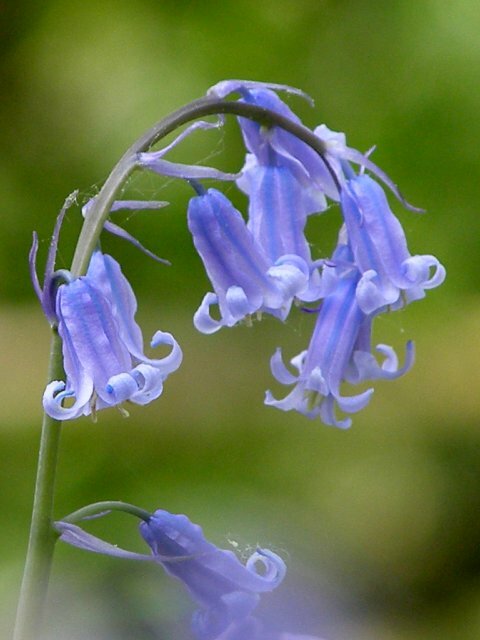 Lots of bloggers have pondered the meaning and significance of bluebells in Broadchurch. The lore around the blue flowers might indeed hint at the plot. 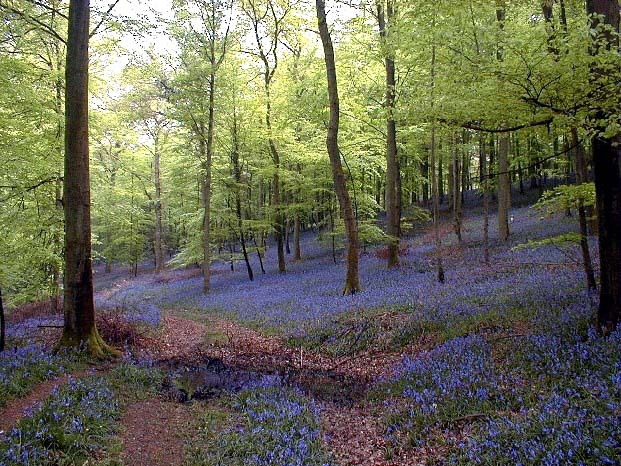 “Tennant News” says bluebell woods are enchanted places concealing fairies. Children walking there might be spirited away, while adults hearing a bell might face death. 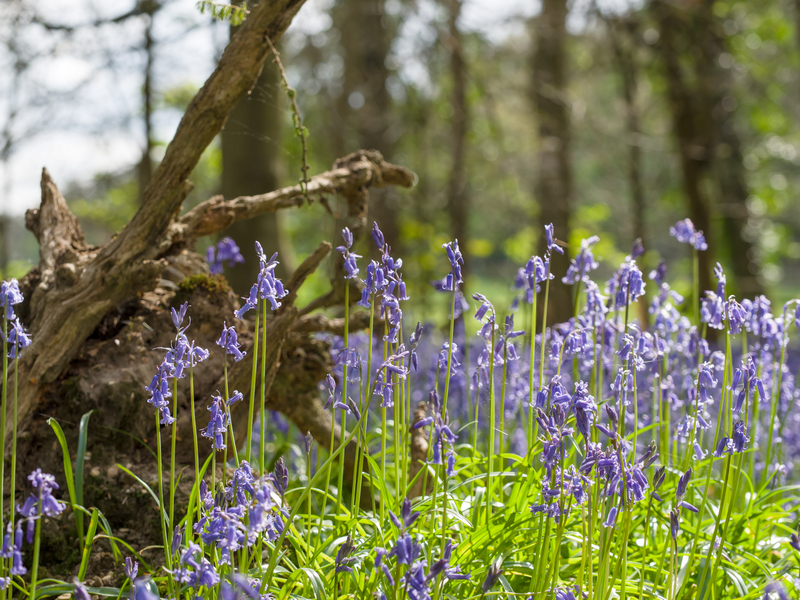 I’ve found similar data on the National Trust website: “a child who picks a bluebell will never be seen again, while adults face bad luck or even death” (this sentence has been removed since). But they also list that “Anyone who wears a bluebell is compelled to tell the truth.” and “The bluebell is a symbol of constancy”. Those last few meanings might be why Jane Campion has chosen them as a visually striking, romantic background for some scenes in Bright Star, 2009. This magnificent film is based on the love story between poet John Keats and Fanny Brawne in the 19th century. 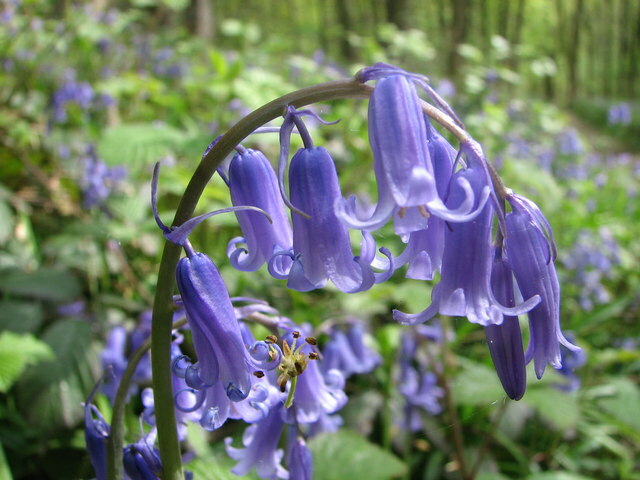 Bluebells are a sign of ancient woodlands. You can really imagine fairies trying to lure children in their magical realms by agitating the compelling bells. 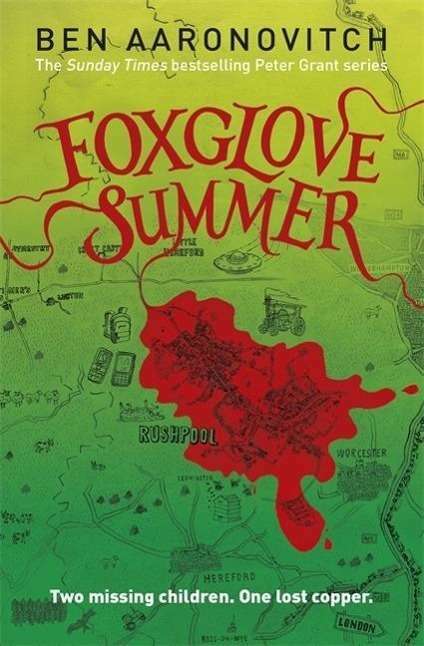 Ben Aaronovitch played with similar legends surrounding foxgloves in his latest novel Foxglove Summer. 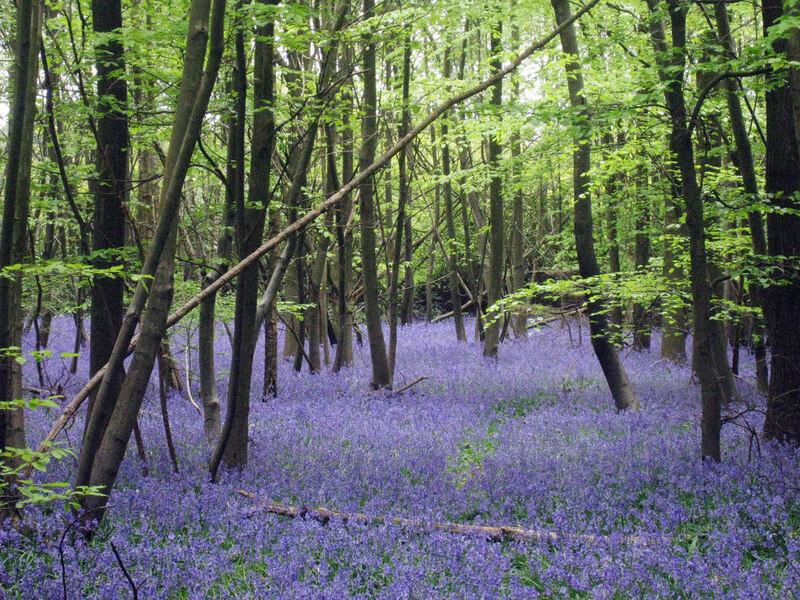 French bluebell hunters are also fond of the fairy connotation, as well as photographers. 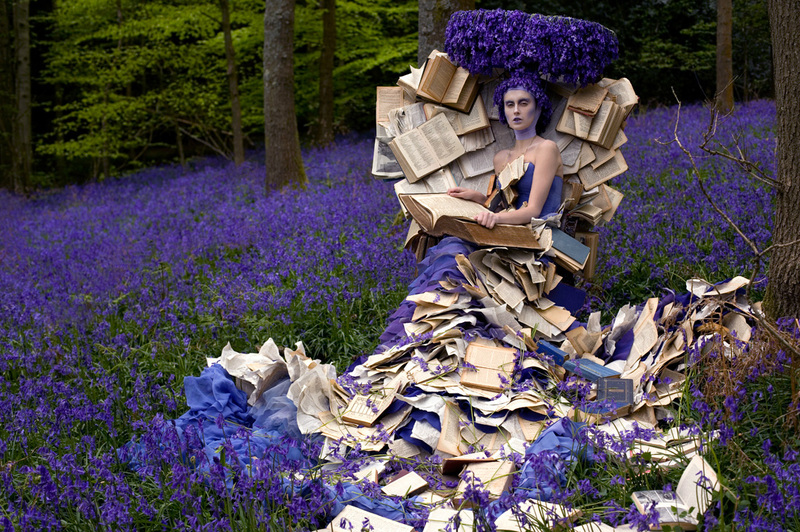 Thanks to Kirsty Mitchell, we can feel immersed in fairy tales. The stunning photographs below have been shot for her Wonderland project, a moving, spectacular homage to her mother who died of cancer in 2008. Kirsty Mitchell: the Storyteller, 2010. Mitchell’s mother was an English teacher and loved to tell stories. 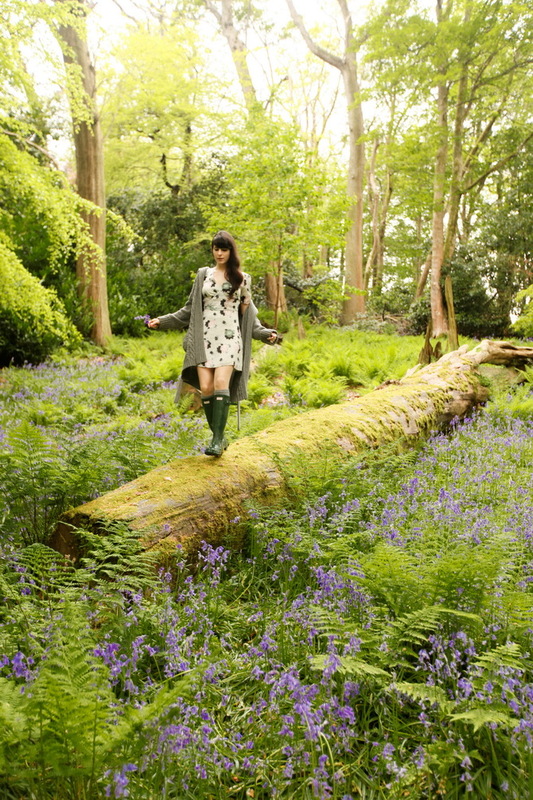 If you want to know more about the bluebell shoot you can read Kirsty Mitchell’s article on her website. Kasey Sorokina wearing an Alexander McQueen dress in ‘Blue Belle’ shoot for Tatler August 2010. Once again, a fairytale inspired shoot hinting at Wonderland. Peony Lim, Love in Idleness fashion editorial. She says the bluebells remind her of A Mid Summer Night’s Dream and goblin character Puck, and felt she had to wear a very impressive dress (by Razan Alazzouni) to match the amazing setting. 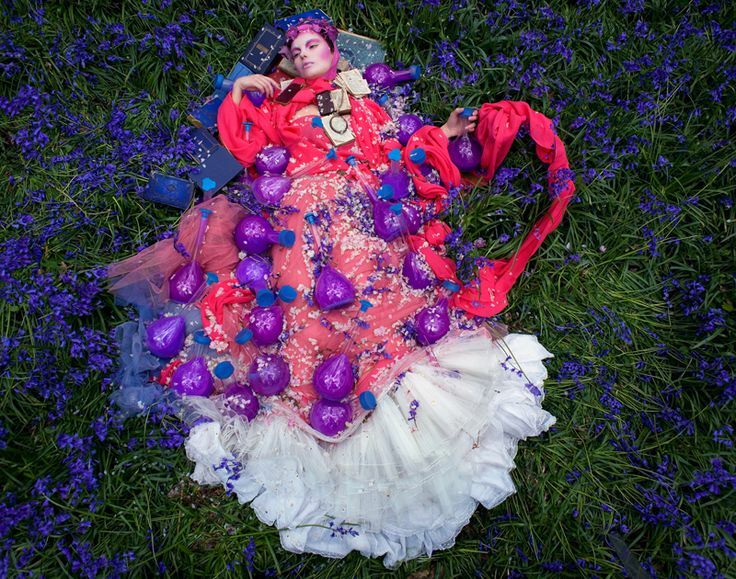 The Cherry Blossom Girl (in Topshop) – Bluebells, 2014. She also feels it’s a fairytale setting.